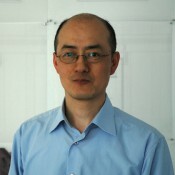 Sheng Shi has more than 15 years of professional experience in the design, engineering and construction of commercial, institutional, K-12, government, historical preservation, and high rise projects from conception through close-out, while coordinating clients, contractors, budgets, schedules, and man-power. He possesses the communication tools, leadership, and unique interpersonal skills to foster teamwork between the design team, contractors, and clients. Some recently completed projects include MET II Complex, a 2.2 million square foot building; SUNY Stony Brook Center of Excellence in Wireless and Information Technology, Buffalo State College Burchfield Penney Art Center, Manhasset Public Library, and Hampton Bay Middle School. Mr. Shi has developed company wide structural engineering standards for design, specifications, and document presentations. He has also developed quality processes, monitors the execution of various projects and promotes interoffice exchange of information and technology. Mr. Shi holds a Bachelor of Science degree in Civil Engineering and a Masters of Science degree in Structural Engineering, from Drexel University. He is an active member of numerous professional associations and is licensed in the State of New York, Delaware, Florida, and Washington. He is also an Adjunct Professor at Cooper Union. The new 75,000 SF, 2-story building will have a major presence in the heart of Buffalo’s Museum District. Expanded functions include exhibition galleries, educational spaces, public service spaces and administrative offices, and will include a café, museum store, auditorium, and art conservation laboratory. An L-shaped building that consists of 3 stories plus a mechanical penthouse with approximate footprint dimension of 290 ft by 60 ft and a partial basement of 180 ft by 60 ft. This building will be connected the existing Houghton Hall building. Downtown Miami’s newest development, the Met Complex, includes the residential tower, Met 3, which will be the tallest building in Miami and the office and hotel complex, Met 2, with an estimated construction cost of over $600 Million. Met 2 consists of a 48-story steel office building with a concrete core. It is connected to a 44-story, 513 feet tall hotel of reinforced concrete construction over a 13-story pre-stressed parking garage. The hotel ballroom has trusses that span 110 feet, supporting seven stories of parking. The Met 2 complex has a total of 1.9 million square feet and is currently under construction. With the hotel topped off in May 2009 and the office building topping off August 2009. In addition to its multiple amenities, Met 2 is equipped with extensive health club facilities including and indoor basketball court and pool. A 3-story building with one underground level, Manhasset Public Library is designed to give the appearance of a two-story structure in order to blend with the surrounding neighborhood. The estimated cost of the 38,700 SF project is approximately $17.8 million. Included in the facility is a children’s library, a community room with seating for 200, a quiet study space and a cafe.